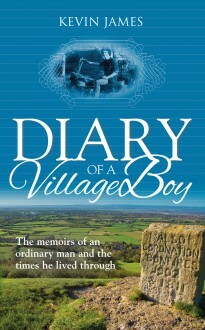 Diary of a Village Boy is the tale of Kevin James, who was brought up in a humble home in rural Somerset in the 1950s, the son of a rabbit catcher and a farm labourer’s daughter. Despite poor health he soon learned how to fend for himself and make a bob or two by cutting the grass and doing odd jobs for wealthier neighbours. As he grew older he became something of a tearaway who had more than his fair share of scrapes in pubs and on motor bikes, but in later years he set up a successful metal fabrication company, making enough cash to buy a share in a winning racehorse. Kevin never forgot the difficult years he had grown through, years he remembers vividly for the music and the news that was current at the time. In this unusual autobiography he matches up the chapters of his life story and a string of anecdotes from the times with the news headlines and top ten hits of each of the key years of his life.